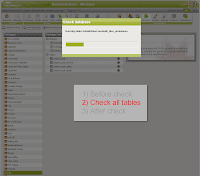 The module manager can now check all database tables for changes. The result is saved to the session. Each time you look at a table it gets updated.